United Nations (United States) (AFP) - United Nations Secretary-General Antonio Guterres renewed his offer Monday to help broker an end to the crisis in Venezuela during talks with the country's foreign minister. Guterres met with Foreign Minister Jorge Arreaza in New York, at the request of Caracas, as the standoff between President Nicolas Maduro and opposition leader Juan Guaido hardened. The United Nations has called for serious political negotiations between the two sides to prevent a slide toward more violence in the South American country. "The secretary-general reaffirmed that his offer of good offices to both parties remains available for serious negotiation to help the country out of the present standoff for the benefit of the people of Venezuela," said UN spokesman Stephane Dujarric. Guaido declared himself interim president last month and has since been recognized by some 50 countries, including the United States. Last week, the UN chief said he would not join in any initiative promoted by groups of nations to ensure the credibility of his offer of "good offices." 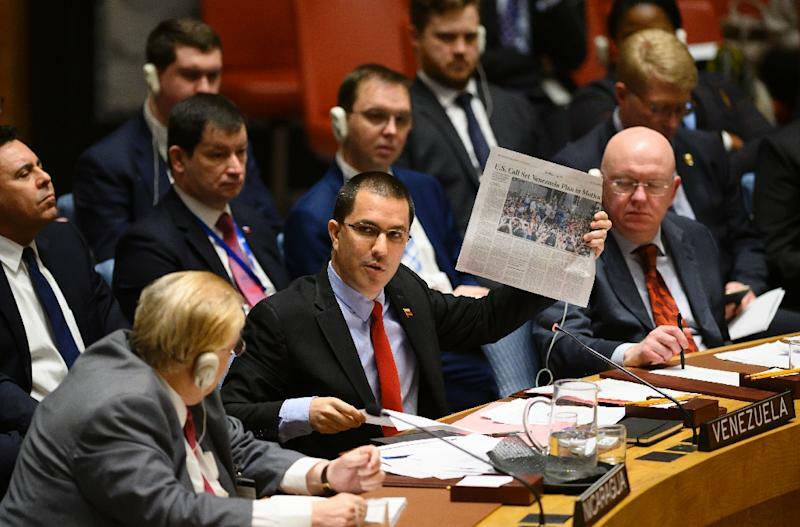 The United States has presented to the Security Council a draft resolution that would call for presidential elections, triggering a counter-proposal from Russia that criticizes attempts to intervene in Venezuela.